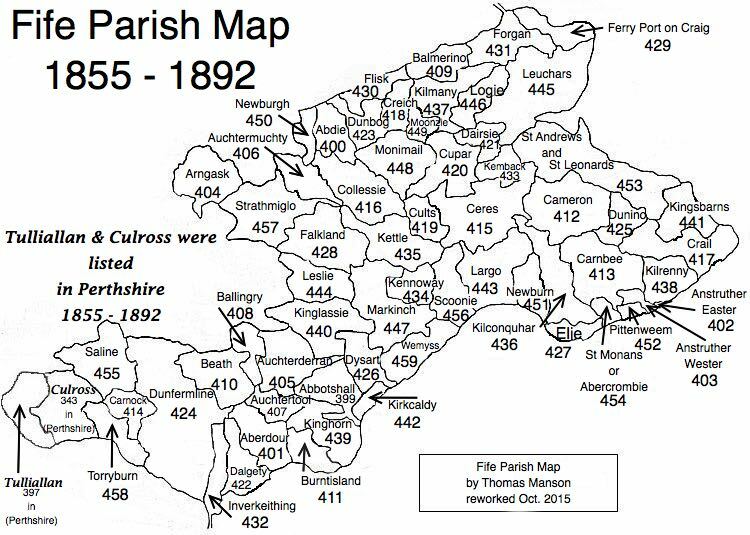 Parish of Balmerino – The Fife Post………..for genealogy and historical information. BALMERINO, a parish, in the district of Cupar, county of Fife, 5 miles (W.) from Newport; containing the villages of Kirkton and Galdry. This place, of which the name, of Celtic origin, signifies “the town of the sea,” or “Sailors’ town,” most probably derived that appellation from its position on the estuary of the river Tay. The parish is bounded on the north by the Frith of Tay. The church, a neat and substantial edifice of stone, erected in 1811, is nearly in the centre of the parish. The name of his parish, which is also Balmurynach or Balmerinoch, is a compound of two Gaelic words signifying ‘Sailor’s Town.’ Anciently, the Picts had sole possession of the area for over a thousand years (until the 10th century). The small village on the banks of the estuary of the River Tay became a summer residence for royalty in the late 12th century. Alexander II and his mother Queen Emergarde founded an abbey there in 1229 which was demolished in 1558. The ruins can still be seen. The castle of Naughton is also in ruins. The terrain is hilly. The two villages in the parish are Kirkton and Balmerino. The parish has an especially healthy climate. Many people live past 80. There is an unusual number of twins and other multiple births. The population in 1755 was 565, in 1791 was 703, and in 1837 was 1070. The yearly average of births for the last seven years is 27 and of marriages 6. In the last three years there have been three illegitimate births. There is no register of deaths kept. The number of individuals employed in weaving is about 150 and the rest are chiefly engaged in agriculture. There are 2694 acres in cultivation and 467 in woods. Various grains and potatoes are grown and cattle are raised, which are fed on turnips and hay. The produce of salmon fishing, which used to be immense, has not for some years past paid rent and wages (caused by legislation passed in 1812 to limit a certain type of net fishing in the estuaries). In the past, wheat was shipped from the Tay, but no more. However, potatoes are shipped to the London market. There is neither a market or a post office in the parish. Coal is the chief source of fuel. The parish church is situated about the center of the parish and has seating for 400. It was finished in 1811. The number of families attending the Established Church is 195, and of Dissenting or Seceding families is 20. There are two schools in the parish including the parochial school. About 165 students attend school in the winter. The above extract is from the account written in February 1838.